Perfect Flooring is proud to be serving customers in the City of Pittsburgh and the Greater Pittsburgh area. Customer satisfaction is our highest priority at Perfect Flooring, and as a locally-owned and operated flooring installation company what our customers think of our work is our ultimate reward. Check out Perfect Flooring Pittsburgh reviews from satisfied customers where THEY tell US why they love their new flooring. Step onto something that speaks to you with Perfect Flooring! “I was very impressed with Perfect Flooring and their carpeting services. They brought the samples I was interested in directly to my home and helped me measure and choose the best carpet for me and my family. They’re informative, professional and dedicated to making sure I was really happy with the finished product. I selected new carpet flooring for the bedrooms in my home, and I’m definitely going to give them a call when i convince my husband to our hardwood flooring in our kitchen and living room. Perfect Flooring does that too! I’m very satisfied and will be calling again. “After arguing with my boyfriend about redoing our flooring in our house down in the Southside, I finally talked him into committing to hardwood flooring. The only compromise? I had to do the research, find a company and handle scheduling the appointment. I decided to go with Perfect Flooring due to their product selection of different hardwood species and their lovely salesperson that answered the phone quickly and offered tons of info for scheduling. On top of everything else, I didn’t have to go anywhere. I scheduled by at-home free estimate where someone came, measured, brought me products I was interested in and scheduled me for installation. We are so stoked with the work Perfect Flooring did! My new hardwood floors are stunning and the finish and species is just what I wanted. Perfect Flooring was informative, fast and dedicated to completing the job with ease and efficiency. I was so happy with their work that if I have any hardwood issues, I’ll definitely be calling again. Have any questions about Perfect Flooring products or services? 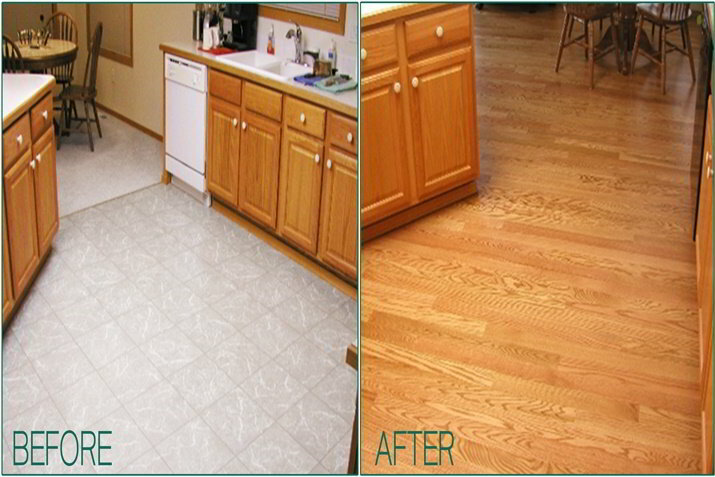 Call today to schedule your free Shop-At-Home appointment and find out what Perfect Flooring can do for you today!